Meet Robin Hood, our Pet of the Month! Robin Hood is a very sweet male boxer mix. He's about 1 year old and is currently at the Habersham Animal Shelter. Habersham Humane Society has asked a local vet to treat him because he tested heart worm positive. 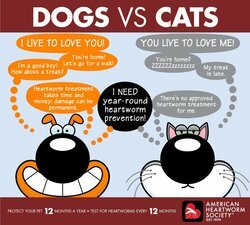 Heart worm prevention is very inexpensive and there are several different brands to choose from. Some run less than $10 dollars a month! Heart worm treatment is expensive. Please consider sharing the story of Robin Hood so we can all work together to prevent animals from this unnecessary experience. Playful Robin Hood will be available for adoption when his treatment is complete. He is very sweet, full or energy and in need of a forever home. Help Robin Hood find his fur-ever home! Contact the Habersham Humane Society at (706) 839-1040 to find out more.